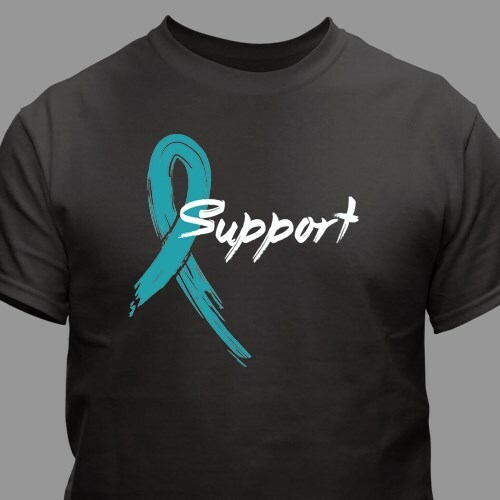 Join your fellow supporters and wear this eye-catching teal ribbon t-shirt that is dedicating to spreading awareness for the cause. This teal ribbon design is available on our 100% cotton, machine washable, black t-shirts. The awareness shirt comes in youth sizes XS-L & adult sizes S-3XL.